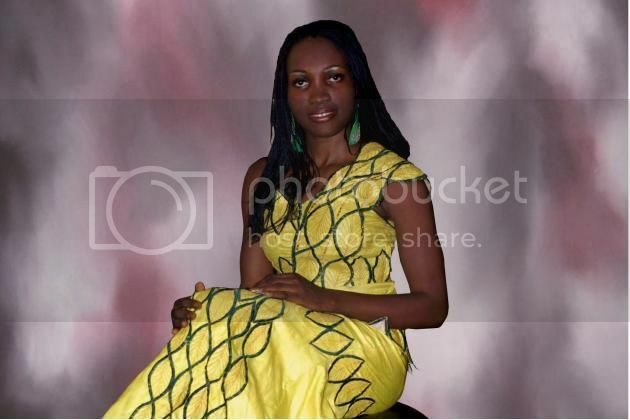 Vanessa is a 22 year old second year student from Freetown. She stands 5'6" tall and speaks English and Krio. She dreams to be a musician in the future and during her spare time, she enjoys composing songs, singing and reading. A loving and caring person is how Williams illustrates herself. The slogan that inspires her is "Honour yourself, then others will honour you." Vanessa representing her island nation of Sierra Leone will compete against other 119 hopfuls vying the crown of Miss World 2012 which celebrates the grand finale on August 18 in Ordos, Inner Mongolia at the People's Republic of China. It is one of the most celebrated and the oldest surviving beauty contests in the world since 1951. If ever she wins the crown, she will stay in London entire her reign and will travel to represent the Miss World Organization and its various causes. Will the exotic beauty and intelligence of Miss Sierra Leone will stand out and take home the coveted crown?